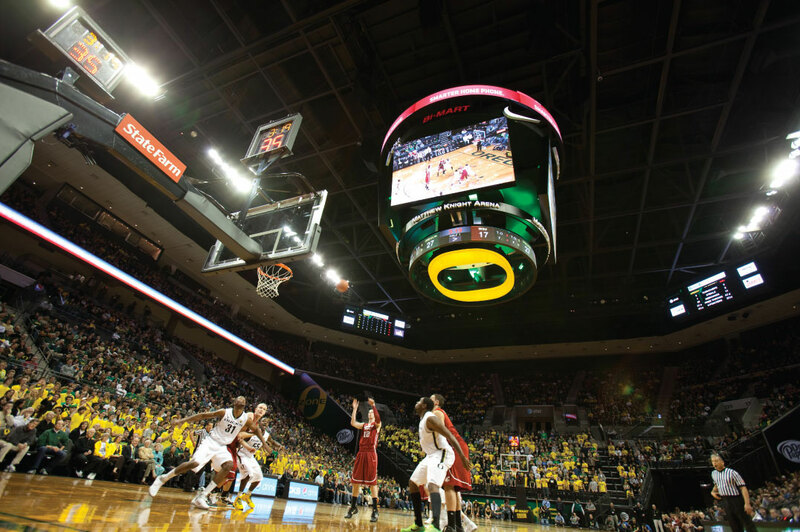 Mackey Arena: LED Display Systems, Scoring, Integrated Digital and Static Signage. Ross-Ade Stadium: LED Display Systems, Integrated Digital and Static Signage. 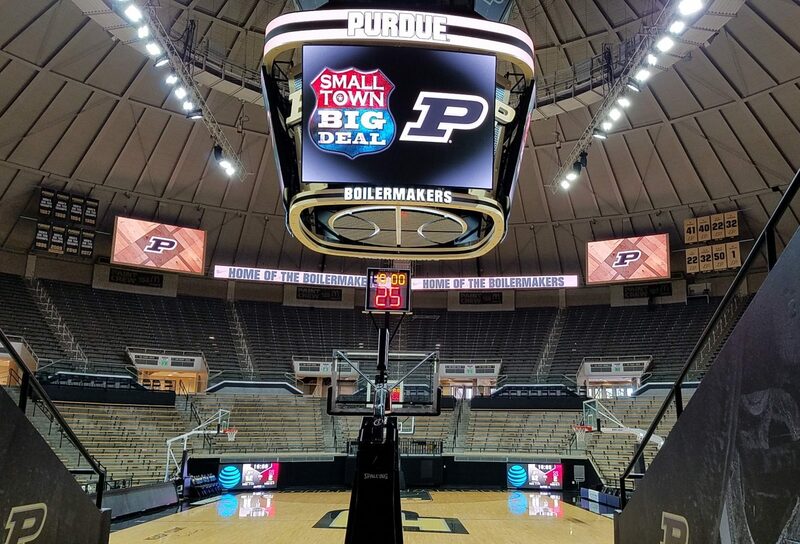 AJP worked with the Purdue University to design a unique LED center hung scoreboard featuring a new hoist, four 6mm video displays, each measuring 13.5’ high x 19’ wide. A 3’ tall LED ring with a 109 foot circumference crowns the scoreboard. The project also included four roof-hung 10mm corner displays, each measuring 11.4’ high x 20.8’ wide, and four roof-hung 10mm ribbon displays at 3’ x 48’. All eight displays were mounted with chain hoists to allow for easy servicing from the seating bowl. 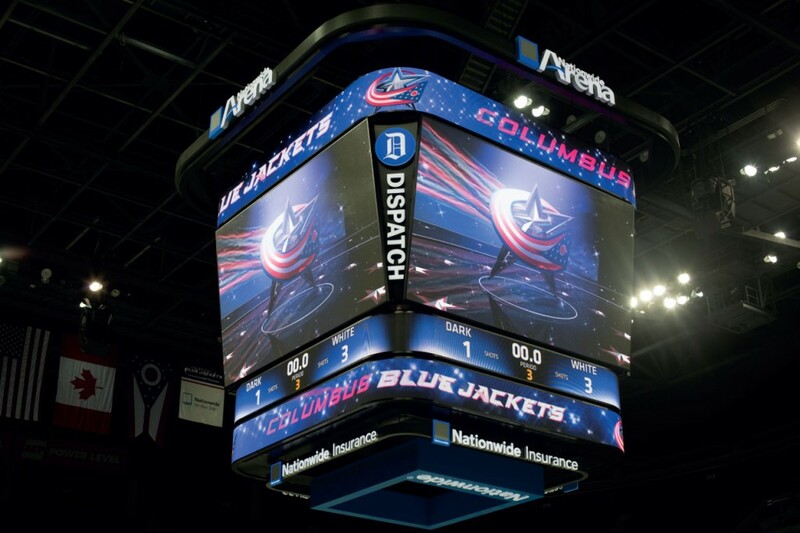 The main center hung displays and corner displays are capable of showing either one large image or images divided into multiple zones to show any combination of live video, instant replays, game statistics and information, graphics and animations, and sponsorship messages. The ring and ribbon displays provide complementary statistics and information to the main displays, while also providing opportunity for highlighting sponsors during events. 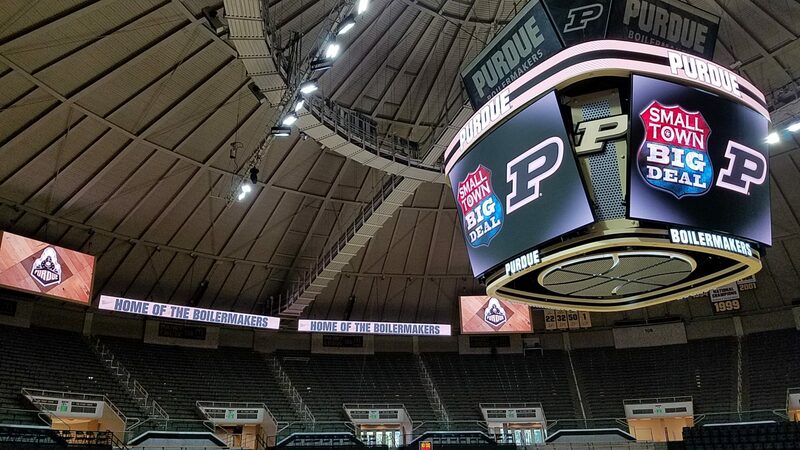 WEST LAFAYETTE, INDIANA – Purdue Athletics will celebrate the 50th anniversary of Mackey Arena in 2017-18 with the installation of a series of new LED video boards. 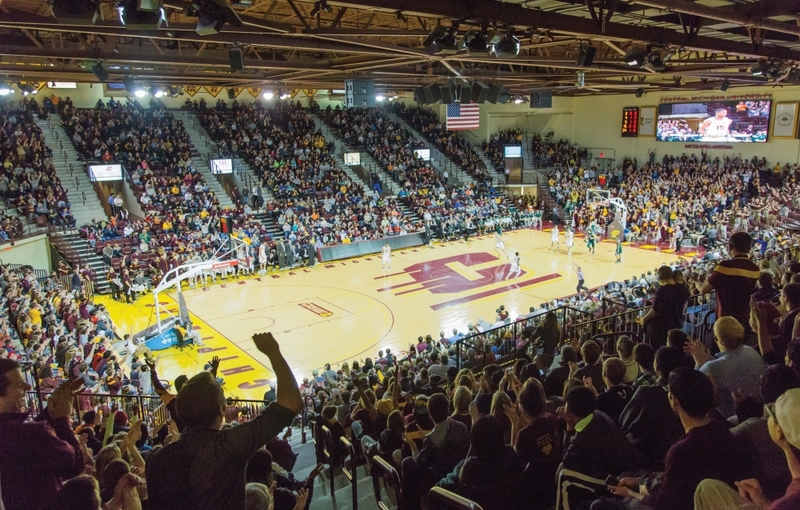 They will further enhance what is widely regarded as the top basketball gameday experience in the country. 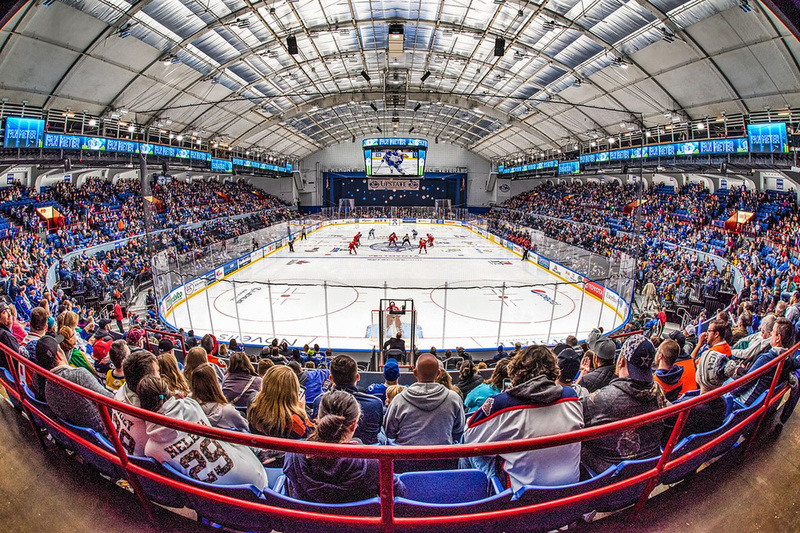 Included will be a center-hung four-sided display with an accompanying halo video ring, four “corner” statistics boards and two ribbon boards at both the north and south ends of the arena. “Thanks to the generosity of some very special John Purdue Club members, we will be able to celebrate the 50th anniversary of Mackey Arena in a fitting manner,” Purdue vice president and athletics director Mike Bobinski said. “The new video boards will bring even more energy and engagement to our already tremendous gameday atmosphere, which will both benefit our basketball programs and further entertain our fans. 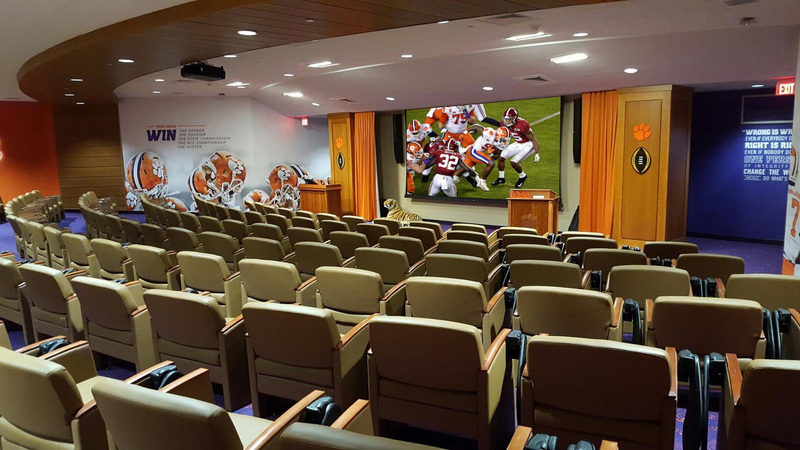 The center-hung display will feature four 20-feet wide by 13-feet tall six-millimeter LED video boards. The halo ring will measure 109-feet in circumference by three-feet tall with a 10-millimeter LED display. 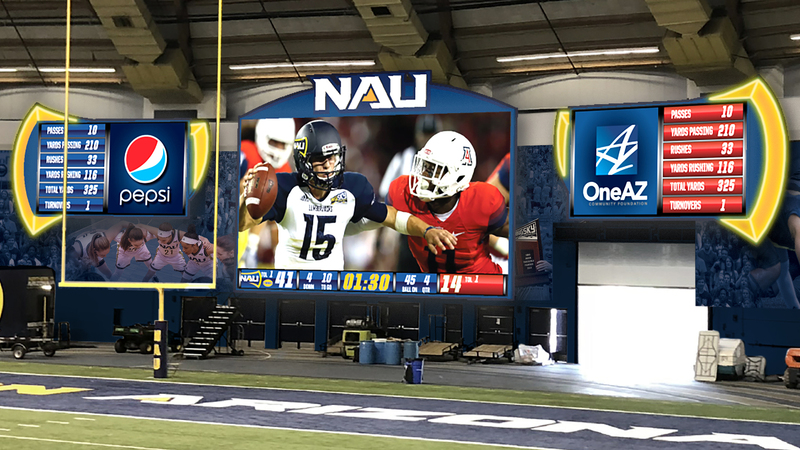 The statistics boards will measure 20-feet wide by 11.5-feet tall each (10-millimeter LED), with their adjacent ribbon boards 50-feet wide by 3-feet tall each (also 10-millimeter LED). Mackey’s current center-hung display has four video boards measuring 13.5-feet by 7.75-feet each with 12-millimeter display, while its three statistics boards are 19-feet by 5-feet each with 23-millimeter display. There are no halo ring or ribbon boards presently. The new video boards follow the installation of a new LED lighting system, which was installed prior to the 2015-16 season. Total cost for the video board components is expected to be $1.9 million, which will be paid for entirely with gift funds. Fundraising will continue in an effort to further enrich Mackey with additional projects and for promotional activities around the 50-year celebration. “We are excited about the opportunities the new video boards will give us to embellish the fan experience in what we believe is the premier gameday environment in college basketball,” said Chris Peludat, associate athletics director for marketing and ticketing. The boards were designed by Anthony James Partners of Richmond, Virginia, and will be manufactured and installed by Daktronics of Brookings, South Dakota. 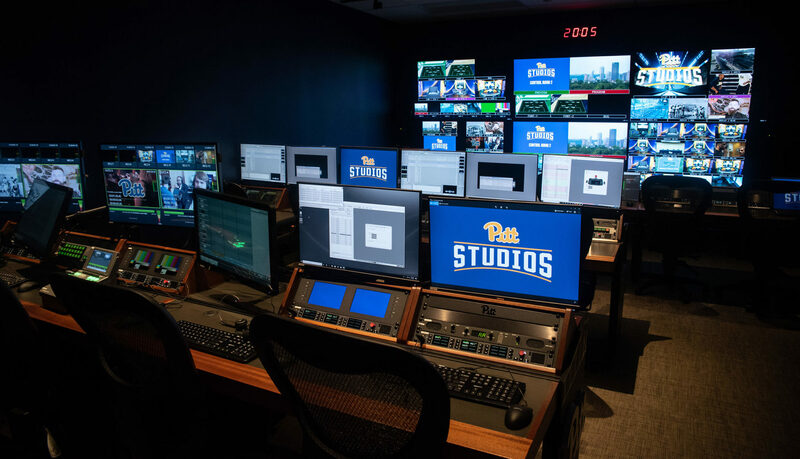 Anthony James Partners has designed and managed the installation of video displays for numerous collegiate and professional teams, including Notre Dame, Ohio State, Oregon, the Green Bay Packers and Portland Trailblazers.